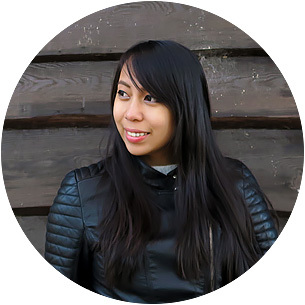 I was born in a ‘third world country‘, the Philippines, and with the ‘power’ that my passport holds — which is low — I am no stranger to the fact that I can’t just travel on a whim. A passport is said to be very powerful when it can let you go to a lot of countries visa-free under low costs (on visa fees), high validity (can stay in a foreign country for long), and minimal effort (not a lot of time needed to acquire a visa). The top 5 most powerful passports are from Singapore, South Korea, Germany, Japan, and Sweden according to Passport Index. With that data in mind, let’s illustrate how powerless my passport is: Singaporeans and South Koreans can go visa-free to over 163 countries whereas my Philippines passport can only go to 60 countries. There are other passports who have it worse than I do, but certainly, I can’t just go to American or European countries at just about any time without going through rigorous + costly visa applications and strict immigration officers first. So naturally, you can’t blame us, the third world or second world passport holders, for making it such a big deal whenever we get a visa (because rejections are common tales among all of us) and whenever our travel plans do push through (because a lot of things can go wrong). Oh, you bet that I celebrated a LOT when I first got my Schengen Visa! Now of course there were millions of times that I wished that visas didn’t exist, but let’s face it: this world needs rules. There are some people who have ill intentions for going abroad (overstaying illegally, etc.) and a country has to protect its citizens and society. For instance, the Philippines is typically referred to as a ‘high risk’ country for most embassies because we have a huge number of people in the past (and even in the present) who either want to overstay abroad or work illegally. HOWEVER… let me tell you that it IS possible because I, for one, have been making my way around the world ever since 2013 with my Philippine passport — and there are a LOT of underprivileged passport holders out there who are doing the same as well! So don’t let yourself think that visas will prevent you from making your traveling dreams a reality, because there are soooo many ways to make it happen. (Yes, no matter if you hold the most complicated and powerless passport there is.) It will just be tiring, long, and meticulous; but as long as you prepare for it and accomplish all the requirements or paperwork ahead of time, your dreams of traveling the world won’t certainly be a dream anymore in the long run! …and that is to sacrifice some of your effort, money, and time. (Sometimes, even a LOT of it!) Well actually, this applies to any goal since we have to give up some things some times in order to get what we truly desire. 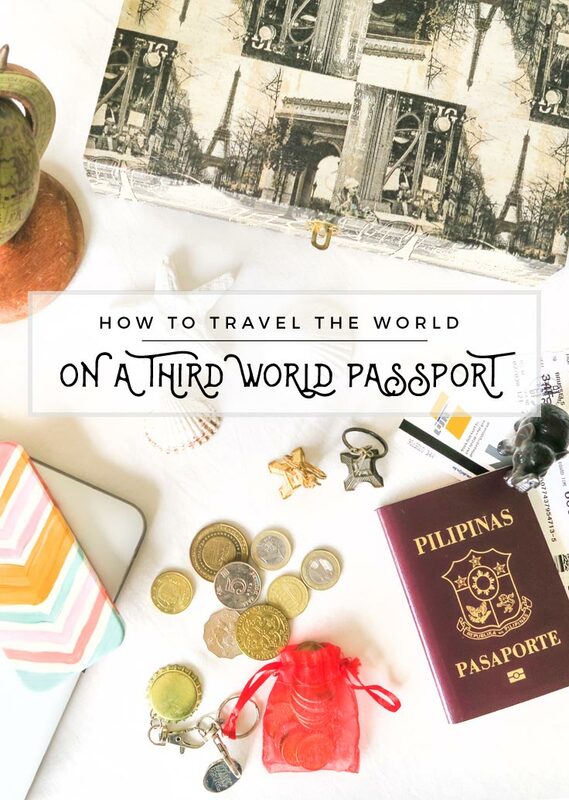 Although hopefully, with this post, I will help alleviate your worries and assist you to ‘success’ as I list out below the ways on how to travel the world on a third world passport! NOTE: This post will be updated as needed whenever I learn of new methods and tips. » Prioritize visa-free entry or VOA (visa-on arrival) countries! This is a no-brainer but a lot of us tend to forget this notion. Look at it this way: traveling to 60 visa-free countries under a Philippine passport, as an example, would already make you go on a ‘world trip’ for years! Hence, don’t force yourself to go to Europe or USA especially if it would take you a while to prepare all your documents. Besides, building up yourself as a well-traveled person (especially if its your first time to travel abroad) can really help for future visa applications; so traveling to such ‘easier countries’ first can help you accomplish that. Let’s not even forget that most of the time, a lot of the visa-free countries have a lower cost of living; therefore, that will help take off the pressure on your travel fund too! NOTE: Be informed of the difference between ‘visa-free entry’ and ‘visa on arrival’. Visa free entry means as is: you can enter and stay in a country for a period of time. Whereas visa on arrival means that you still need a visa to enter but you can avail that sticker either by paying for it once you arrive or by applying for it beforehand online or via the embassy in order to get a confirmation of your stay. Travelscope is a good resource for determining what countries you can enter into freely or not — this is as dependent on your passport of course; though, considering that the data there is also controlled by users, it’s safe for you to research and verify things either by doing a quick search on Google or by inquiring with the appropriate embassy. So let’s say you really want to mix it up and visit one or several first world countries while you’re journeying to visa-free countries for years or several months. With that aim in mind, you have to take into account that you won’t be coming back to your home country for a while, SO: all visas that you need to acquire should be applied or prepared for beforehand — this is because almost all countries want you to apply for a visa in your home country or place of official residence. (And from what I know, most visa applications can only be done at most 3 months before your intended departure). MAYBE. There are embassies abroad that can allow you to apply for a visa while you’re in their territory since I do have a few friends who have been successful in doing this as long as they justified perfectly why they can’t apply from their home country. (For instance, one of my friends reasoned with the embassy that he can’t go back home since he was on a continuous world trip and he provided details of his journey and situation to back it all up). Nevertheless, you have to take note that each country has different visa rules and procedures — some can be more lenient while some can be very strict; in fact, most are very strict. Therefore it helps to research beforehand. (Russia for example is commonly known as a country that does not allow this). » READ: Applying for a Visa? Here Are 4 Important Tips to Get You Approved! Find connections. Look up your friends and family members abroad who are living in the destination that you’re heading to and ask them if it’s possible for you to stay at their house. This will help fulfill the need for providing proof of accommodation and it will also help you save up on booking costs. (Take note that this typically needs a letter of invitation and some other official papers which should be easy to arrange). Be wary of the details. Don’t just say that you’re going to ‘couchsurf’ or ‘housesit’ at some stranger’s place abroad without explaining the arrangement thoroughly. Rest assured, you can still do these as long as you don’t make it sound like you don’t have a connection at all with the person that you’re staying with. So! You’ll need to provide a proof of your relationship with your host, an invitation letter, and some other documentations that the embassy would need. (Remember though that if your housesitting involves money, you would then need to apply for a working visa. After all, you’re not allowed to ‘work’ while on a tourist visa). NOTE #1: Speaking of work, like I said, you NEED a work visa or permit if you intend to work in a foreign country “offline” and receive money in return. But for digital nomads who work “online” while they travel overseas, going in with just a tourist visa is fine since you’re not going to their country to look for work. A lot of embassies in the world don’t have clear regulations yet for this either, so it’s basically a grey area. Anyhow, provide as much details as you could to the embassy officer during the visa application about what you do when they ask about your job. When it comes to immigration though, if they ever ask about your work, it’s best to just mention that you are a self-employed freelancer or business owner (as dependent on the work that you do) and that you are paying tax and working for a company somewhere else — this will be an assurance to them that you’re not heading to their country to work (even though technically you’ll be working there, but only ‘online’ thereby not affecting the local employment). This is also a good practice if you want to avoid any confusion with an officer that might not be familiar with the details of a digital nomad job because surely, given the nature of immigration, it’s a quick process so if you’re not as clear, you might not be allowed to leave the country or be held back for questioning. NOTE #2: Be mindful that if you start to stay somewhere more long-term as a digital nomad, it’s best to consult with a specialist to sort out your tax and work situation. Moreover, there’s also another kind of work that’s in the grey area and that’s working offline in a foreign country but NOT getting money in return. Commonly called as volunteering, it’s the kind of work where you do menial jobs for hostels, farms, etc. in exchange for free food and accommodation. Governments neither find this legal or illegal; so much like the digital nomad scenario, there’s no need to mention that you’re going to do ‘volunteering’. Just say that you’re there for tourism and that a hostel/farm has invited you and sponsored your free stay (back this up with an invitation letter as needed). NOTE #3: Be wary if you’re offered a volunteering job with payment since that is legally NOT allowed. For such arrangements, you would need to acquire a work visa. I do know that some people still do it without a permit especially if they are traveling visa-free and have never been caught; but again, it’s risky. (Yet of course there seems to be some countries that tolerate this). To be on the safe side however, it’s often best not to take jobs like these for as much as you could. Get wise. Secure a cheap short-term rental space as it is definitely better than booking numerous hotel details in a span of, let’s say, 3 months. For instance, I know of some people who have booked a very cheap apartment in one location to serve as their ‘base’ while they travel around various Schengen countries so that it could serve as the accommodation that they can show to the embassy. But if hotels or hostels will fit your travel plans better, I suggest doing it with Booking.com since payments are usually made after you check out of the establishment (so payment is not made upfront) and cancellations can even be done 24 hours prior to your booked date (just read through the hotel policies to be sure). Needless to say, this platform is perfect for travelers like us! Mind the timing. For flights, make sure that your connecting flights’ time slots are not too close. Think about it: if in case your flight is delayed, you can either miss your next flight or be stuck somewhere for a night! Every foreign country wants you to convince them that you have enough money to support yourself while you’re on your trip. If you don’t, they would certainly think that you’re a sketchy character. Likewise, you also need money to jumpstart your traveling lifestyle! Seek temporary help. If you’re employed, embassies customarily don’t ask for your personal savings account since your payslips can already assure them. But if you’re an unemployed or self-employed individual, embassies would ask for your bank statements or bank book in the last 3 months. If you find it difficult to come up with a considerable sum to show for this, consider asking someone to lend you some money so that you can add it to your bank account. TIP: It’s best practice to do the ‘deposits’ gradually because a sudden big deposit on your bank in certain dates would look fishy. Self-employed people, ready your financial documents beforehand! If you’re planning on traveling the world for a looong time and you plan to work as a digital nomad, freelancer, or entrepreneur while you’re on the road (like I do), you will be classified as a self-employed individual. When it comes to visa applications, this would mean that embassies will typically need a copy of your business registration/business permit, tax statements or income tax return for the past year, and bank statements or financial reports for the last 3 months. (If you’re employed remotely by a company as a freelancer, you can also show your certificate of employment). Requirements may vary of course, depending on the country; but these are the basics. Given this fact, it’s important that you register yourself or your business for as soon as you could. Unemployed people, don’t fret. Some of the documents that could prove your solvency are: proof of investments (land, house, car, etc.) or financial assets (stocks, etc. ), copies of personal credit cards or bank statements in the last 3 months, or (like I mentioned previously) a sponsorship letter from your sponsor. How much do I need to show in my bank account? This is tough to answer because every country would have its own minimum requirement (depending as well on the type of your visa), so I suggest that you call the corresponding embassy or check their website for any info. I can share you my experience with Schengen visas though, and from what I have come to know, most of their member states want the tourists to show that they have at least EUR 50 (Php 2,500+) available per day of their stay. So go figure. This, in my opinion, is what most embassies put great importance on when assessing a visa application because they want to know that you’re someone who won’t overextend your ‘welcome’ by staying there longer (illegally). It varies from country to country but generally, to decipher if you might or might not overstay, they will investigate your situation, travel plans, financial resources, and strong ties to your home country. Basically, the main idea here is to assure a foreign country that you don’t have the desire to stay too long in their territory since you have strong ‘ties’ somewhere else (like your home country or your next destination). That being said, a return ticket also serves as proof that you won’t overstay! This works for most visa-free countries, but not so much on countries that require you to apply for a visa so it helps to have some of the papers that I mentioned above. Studying. Apart from trying your chances on scholarships, did you know that there are FREE foreign universities? Yes, free! For example, some countries in Europe have no tuition fees for international students. (Learn more here). But then there are the cheap ones too. As a matter of fact, my first ever successful long-term visa application was for a student visa in Belgium (wherein I aimed to study a 1-year Master degree in Marketing). My studying didn’t push through though and it’s for the reason that weeks after I landed in Belgium, my online business suddenly took off so well. That meant that I won’t be able to juggle my studies AND the business at the same time. After some research, I found out that I can stop my student visa and convert it into a partnership visa with Jonas (who’s also my business co-founder). So we moved the online business’ incorporation from Hong Kong to Belgium, and applied for cohabitation which now enables me to stay in Europe longer! …I made this sound so easy but it involved a lot of time to make things happen. Mine is obviously a special case but the main ‘takeaway’ here is that anything is really possible as long as you look into things hard enough. Freelancing: Apparently, there are a couple of countries worldwide that offer a self-employment visa which allows you to stay in their country long-term as an artist, freelancer, digital nomad, etc. (So far I’ve learned that Germany, the Netherlands, Italy and Dubai offer this type of visa so go and inquire with their respective embassies to know more info about this). Working Holiday Visas. If you’re aged 18 to 35, you can try this special visa that serves as a residence permit. It allows you to stay in a another country for 1 to 2 years and you can either work or study during that time. To check what country you can go to for this as dependent on your nationality, see here. Example: Philippine residents can apply for a working holiday visa to New Zealand! It seems like a lot of work, right? Yep, it’s really a pain. A big freaking hassle. But don’t forget the bright side a.k.a. the silver lining! 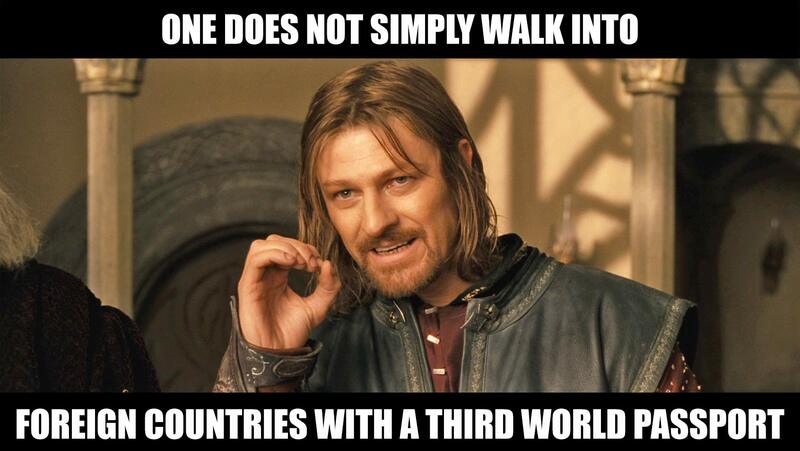 Since like what I’ve mentioned, it’s really NOT impossible to travel the world on a third world passport. Though if you got rejected in one visa application or two, hear me out: don’t take the rejection seriously WHILE taking it seriously too! Okay that sounded confusing… but what I’m trying to say is that if you got rejected, remember to NOT let it get to you — stay confident and try again! BUT do reapply with insight: know WHY you were denied and then work on fixing that problem. Take note: embassies may treat us very strictly (even harshly) but as long as we fulfil all the requirements correctly and sufficiently, they really won’t have any reason to say no. So go and find that missing piece and do a reapplication. I assure you that after several applications, you’ll become a pro at nailing this thing. Lastly, if I can add one more tip: do overdeliver. Going by my experiences, it’s better to have more paperwork ready than not. So if you find yourself saying: “Nah, I don’t think they’ll need that.” Stop. Just go and prepare that document too. You’re never too sure, so why not? All in all, I hope this article has been of help! There may be a lot of visa horror stories out there from underprivileged passport holders, but don’t ever let yourself be discouraged — don’t let yourself wallow in negativity because like what I always say, if I managed to do it, so can YOU! Do you know of other ways to travel the world with a limited passport? What other tips do you know of? Please leave them in the comments below! I’d love to hear what you know. haha! story of my life! Story of OUR life! Haha ;) We won't let it take us down tho! OMW, I was send the link when I ask about travelling when you are from the third world country. This post is the best since I was literally considering writing about it cos I could not find informations. Glad to hear that, Mei! Hope all goes well for your Schengen Visa :D There's no problem if your sponsor in Europe is Thai — as long as he/she has enough documents to prove his/her sponsorship, it should be fine :) Good luck! Ver good informative read... With Philippines passport its "only" 60 visa free countries.. Pakistanis have only half of them and those mostly includes smalI autonomus islands of Pacific and indian ocean. So actually we need to apply visa for almost every "country" in the world. Indeed, I do recognize the fact that there are some passports out there that have it worse than me. Nevertheless, I hope these tips can be of help to you too! This is exactly what I needed to read today. I am from Nepal, currently studying in the US and planning to do a solo Europe backpacking and I was kinda worried about the visa process. This is very helpful and encouraging. Thanks! I know what you mean; most of my EU and US friends think the same so it's quite an 'eye-opening' thing for them. Glad you're inspiring everyone to travel regardless of the passport they're holding. I can understand how difficult it would be. Visas itself cost money already but a little research definitely does a long way. Wishing you more adventure your way! I have never thought about this issues, being from the US. Very informative article, and great resources as usual! I am from Italy and having a EU/Italian passport makes travel very easy. I realised how hard it is to have a "developing" country passport on a recent press trip. A Filipino friend of mine was also on the trip. She took 3 full days of travel to get to Indonesia as she had to avoid flying through the US for visa reasons! Yeah, my boyfriend is an EU national and he has no problems going around -- we just often have setbacks in our trips mainly because of me haha. And oh is that so? Is she a travel blogger? But anyway, I'm sorry to hear that! 3 Days of travel can be really exhausting!